Papa is a chef so when he’s off we get treated to yummy dinners which would take me about 2 hours to prepare but which he can whip up in next to time.Unfortunately, being a chef means he works mostly evenings which leaves me with the dreaded question, ‘What am I going to cook for dinner?’. Fortunately, someone has had the brilliant idea of tackling this issue head on in a humourous way by combining his knowledge and expertise as a successful New York chef with his love of swearing. 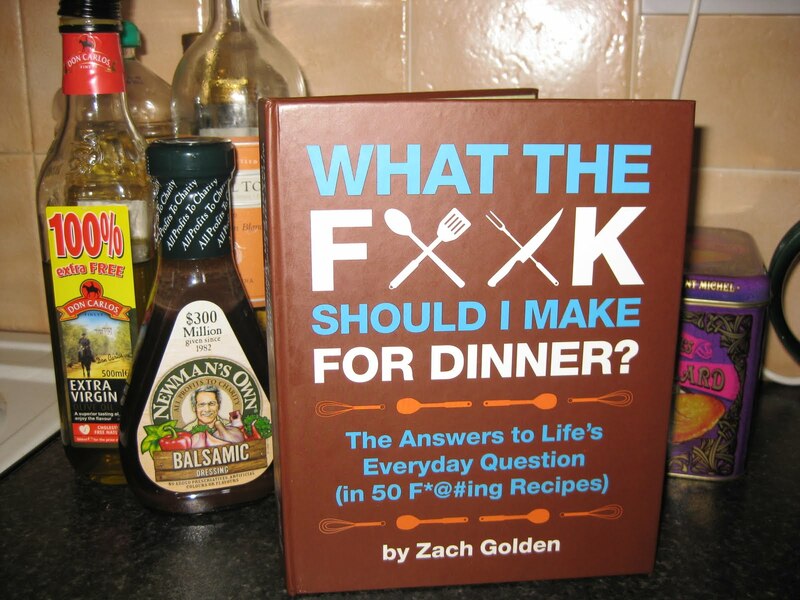 “What the F**k Should I Make for Dinner?” by Zach Goldan provides 50 easy to follow recipes for vegetarians and meat eaters alike. So while it may not take the hassle completely out of cooking, its 50 recipes will definitely give you food for thought and if like me, you find inappropriate swearing funny, then you’re in for a real treat!Just keep it out of reach of the minis!